Lock in a great price for Hotel Europa – rated 8.4 by recent guests! Able to shut the blinds that no light came into the room, basic but very clean room. staff spoke good English and were very helpful. For the price you pay this place is great. Nice clean room, friendly and helpful staff. We had some misunderstanding regarding breakfast, but it was immediately solved on the spot. Excelente hotel. El personal es super amable y servicial. Te hacen sentir como en casa. La comida de la cafeteria es buena y a muy bien precio. El hotel esta muy limpio. Se lo recomiendo a todo el mundo. Sehr freundliches und hilfsbereites Personal, gutes Abendessen im Restaurant, gemütliches und sauberes Zimmer, gutes, bequemes Bett, Parkplatz vor Hotel auf der Strasse und kostenlos. Hotelbesitzer spricht gut deutsch. War hier 7 Tage. Falls wieder in dieser Gegend werde wieder hier buchen. One of our top picks in Arteixo.This value-for-money hotel, just 6.2 miles from La Coruña Airport, offers great home-made food and free Wi-Fi. The hotel Europa is located in Arteixo, minutes from Galicia’s coast and beaches. 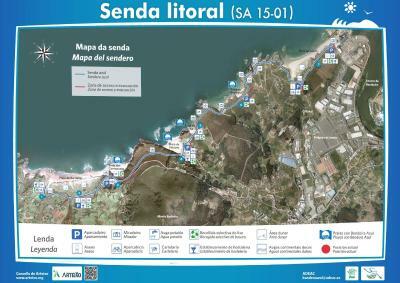 A Coruña Port is 5.6 mi away and Sabon Industrial Estate is nearby. Arteixo is well-connected by motorway to La Coruña and Santiago de Compostela. Information on the area is available at the hotel tour desk. Rooms at the Europa are comfortable and modern. There are private bathrooms with amenities, cable TV and radio, and full heating. This comfortable and modern room has free Wi-Fi, TV, heating and a private bathroom. This heating room is made of 2 rooms linked together. It includes a TV and a private bathroom with bath or shower. Free toiletries and hairdryer are provided. There is free Wi-Fi. This room comes with TV, heating and a private bathroom. There is free Wi-Fi. They should put mini refrigerator in room and ac should be there as well. The hotel is located right on the road in the industrial area, so it was a bit noisy at night, but we were ready to it. If possible don't take the prepaid breakfast (only coffee and croissant), it is better to order, than you will have fresh juice and nice sandwiches.